Mor and Lenka far right, Otto top right, his wife Marta left of Mor. Irene and Erich standing left next to Emil seated on the step. Photo taken in the circa 1940 at a family wedding. Moricz Ilkovics, known simply as Mor, was born around 1866 in Nemet-Poruba, Hungary. 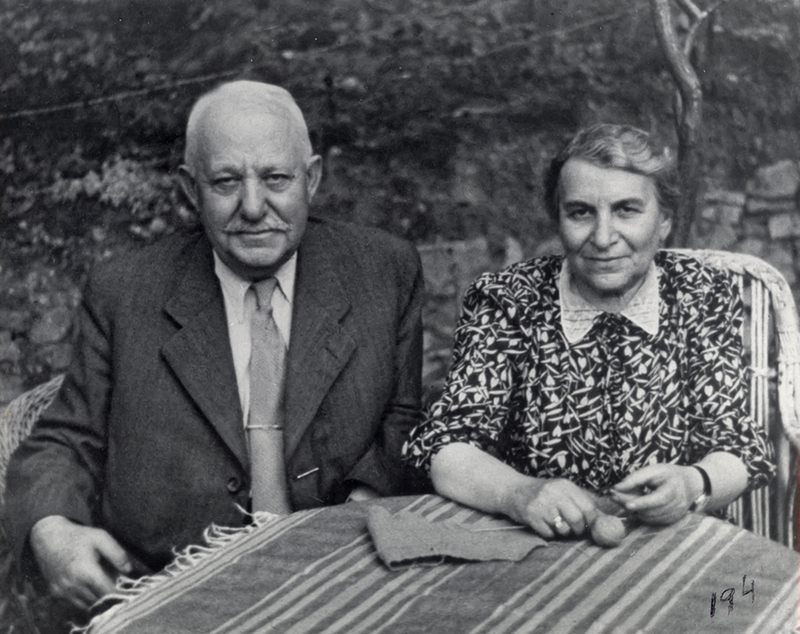 The first son of my great-great-grandfather Samuel Ilkovics and his first wife, Ester Weisz. If you remember the map on the main Ilkovics Family page, Nemet-Poruba was the town that his father Samuel lived in although records seem to indicate that Samuel was born in Tokajik. According to the Kehila page for Poruba on JewishGen, in 1877 the population of Nemet-Poruba was 411, it was a pretty small town. The town sits at the base of the Carpathian Mountains in a pastoral area that has been occupied since the Neolithic period and was primarily farming community during the time that Mor and his family lived there. I still don’t know exactly what happened to Mor and his younger brother Adolf after their mother Ester Weisz Ilkovics died when Mor was 5 and Adolf was 1 years old. I don’t know who raised them or if they were all raised together with Samuel’s second wife, my 2nd great-grandmother Kati Spiro. By the time my great-grandfather Herman Ilkovics was born, Samuel was living in Sebeskellemes where many of his other children were then born, so either Mor and Adolf were raised by Ester’s family, or they stayed together and were mothered by Kati. The reason I have doubt is that the families of both Mor and Adolf didn’t seem to know about Herman and the other children who came after, leading me to believe they may have been raised apart. Some time prior to 1896 Mor married Lenka Moskovits – born in 1875 – who was from Čeľovce, about 60 miles South East from where he was living. 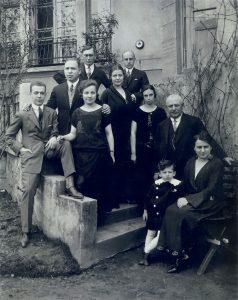 There is some question about whether the Moskovits family had already married in with the Ilkovics family as this family had a propensity to marrying cousins and there were several marriages involving the Moskovics, Rosenberg and Ilkovics families. Mor stayed with the rest of the family in Szedikert where their first son Otto Ilkovics was born in 1896. Mor and Lenka had two other children; a daughter Irene born in 1899 and a son Emil born in 1901. All three children were born in Szedikert and I think both Mor and Adolf stayed there as their position working at the estate in Fintice was pretty secure. Mor and his brother Adolf had quite an operation going in Fintice. They probably showed up there in the late 1890s where they managed an enormous estate owned by the Desseffwy family. By managing it, they did not live there but oversaw the entire operations from hiring staff, managing the accounts, hiring and paying both employee and tenant farmers, paying taxes, storage and shipping of supplies including livestock, brewery, granary, working on building and managing additions to the farm and other tasks as assigned by the estate owners, the noble Dessewwfy family. Learn more about this estate on the Fintice page. Mor and Lenka’s youngest son Emil was born in 1901 in Szedikert. 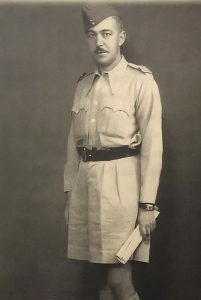 He managed to leave Hungary just before the war started in 1939 and went to England where he joined the British Army and was put with other Czech refugees into a special Czech military unit that fought in North Africa under the command of Field Marshall Montgomery. He eventually was promoted to the rank of Colonel but then after the war, he went AWOL and emigrated to America with his wife Piry Ecker, (who was also his cousin). They lived a peaceful life and Emil died of natural causes in 1988. Mor and Lenka early 1940s. World War II was almost over in 1944 and the Allieds and Soviet Union were on their way when Hitler began rounding up Jews in Hungary. 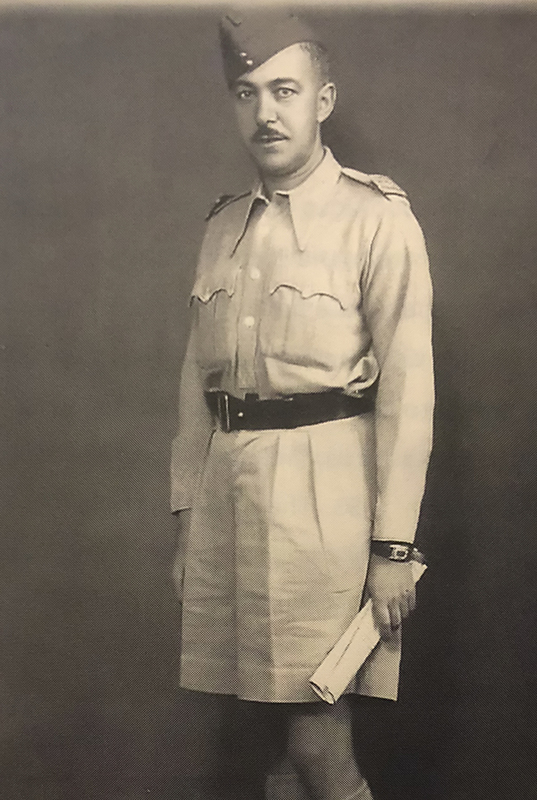 Even though life was extremely restrictive for Jews during the period between the World Wars, Mor and his family must have thought they would survive the war. Their wealth and position put them in a different class of many of the Jews in the surrounding towns. 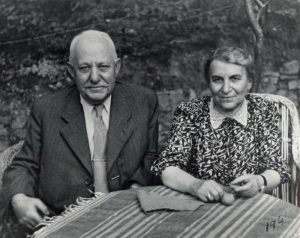 Sadly, both Mor and his wife Lenka, along with their son Otto and his wife Marta Rosenberg, were rounded up, taken to Auschwitz, where at the end of the war, Jews were immediately gassed upon arrival. In June of 1944, Mor’s daughter Irene, her husband Erich and their two daughters were sent to the concentration camp Bergen-Belsen, then released in December where they walked to safety in Switzerland. The family eventually settled in Southern California, joining many of the other Ilkovics there. Several of Mor’s younger siblings and their families were also killed at Auschwitz.